The garden and play area at High Bank provides a wonderful opportunity for the children to spend even more time outdoors, learning and having fun. 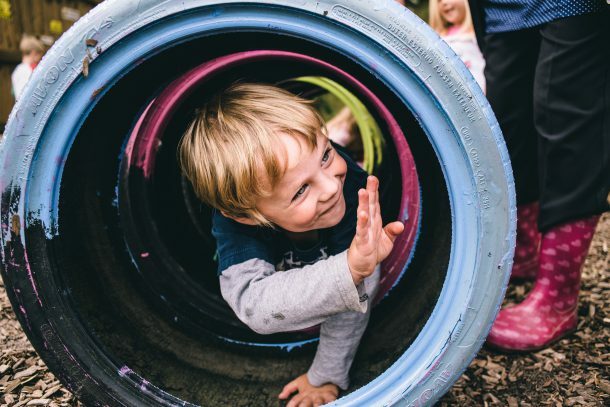 The secure play area includes an outdoor theatre where the children can dress up and do role-play; a pirate ship, swings, willow den and mud kitchen. This leads onto a garden area where the children can play sports such as football, as well as planting fruit and vegetables which are used in the nursery kitchen. There’s even a dedicated space for the youngest children, including a covered area where nappies can be changed in private without the need to come back inside. We use the garden and play area as an outdoor learning resource and often the children will most of the day outside, undertaking various activities. If you would like to come and view the garden and play area please do not hesitate to contact us.